​Please contact us if you have more items then just a simple table top presentation. Maine Robotics will be advertising this fair to all schools and community bulletin boards within a 20 mile radius of Bangor, Maine. ​Camp tables will be setup throughout the Bangor Mall per assignment given by Maine Robotics. We anticipate both a high volume of driven traffic that has come to the Mall to see the Camp Fair, but also a lot of normal Mall traffic. is a non-profit organization, established in 2004 to provide Maine youth and schools with science, engineering, and computer science programs. 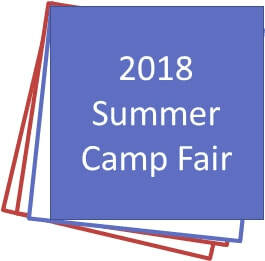 We are delighted to be offering what we hope will be a great camp fair in Bangor this ​year, and for years to come.